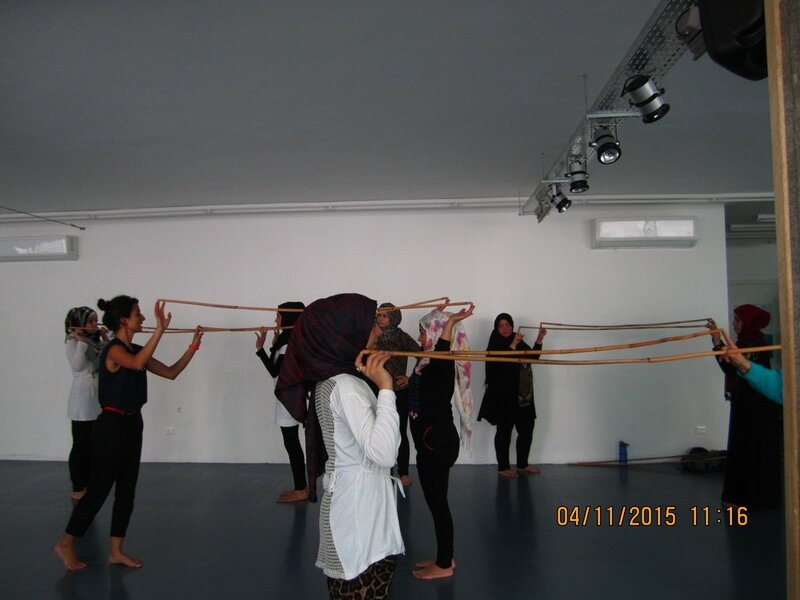 In October of 2016, OAF supported Dina Mousawi as she returned to Beirut to work with some of the participants from Antigone of Syria, as well as with some new women. Together with Bridgette Auger, co-director of OAF's We Are Not Princesses, and Sophia Ahmed, scenographer for Antigone of Syria, they created Terrestrial Journeys. 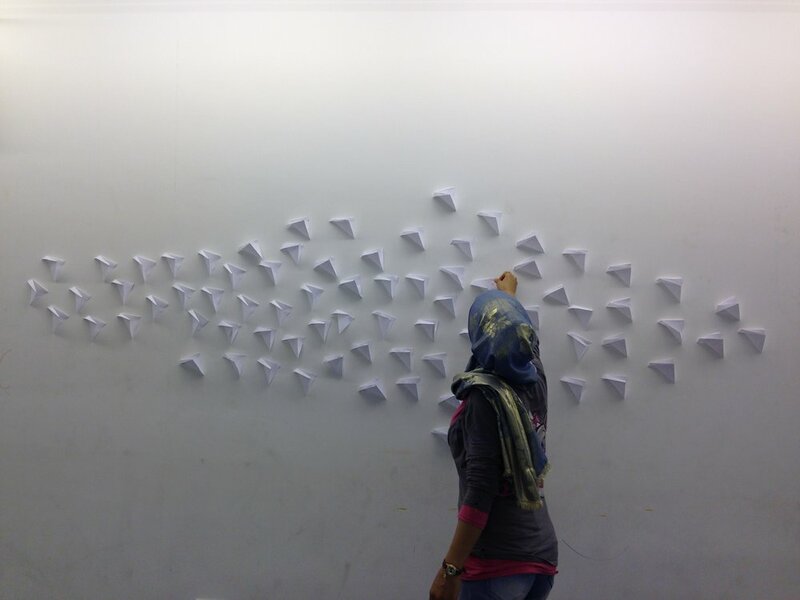 Dina's professional creative team led daily workshops with Syrian & Palestinian refugee women to poetically and theatrically explore their collective experiences of migration. 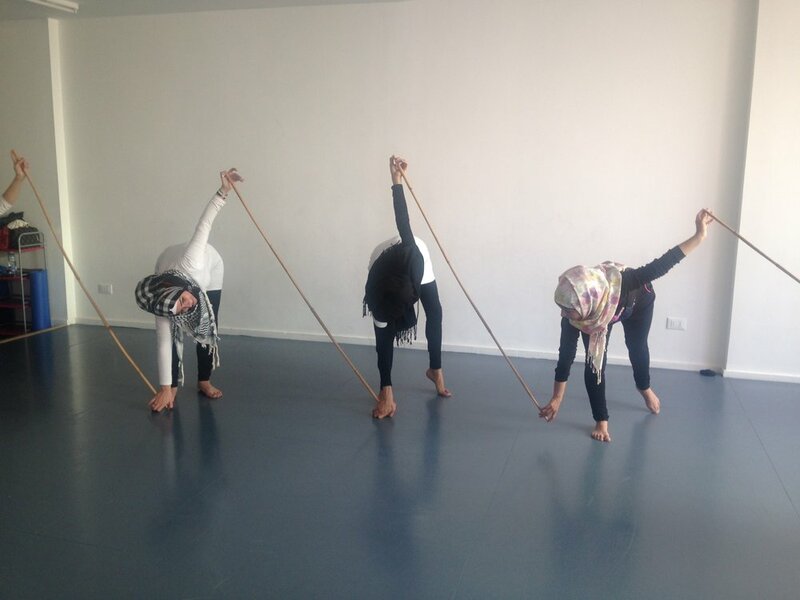 Responding to stimuli such as poetry, visual art, film and stage design they collaborated to devise a theatrical installation that was performed by the women for a live audience in Beirut. Dina "strongly believes in the power of art, not only as a cathartic instrument but one for social change." Having worked on such theatre projects before, she has seen the positive effects on refugee women who have not only lived through tragedies of war, crossed borders and left much behind, but who also bear a terribly misogynistic society. It was these factors that compelled her to produce Terrestrial Journeys.